Phablets have quickly reached a point where manufacturers are super-sizing already super-sized handsets. Samsung’s upcoming Galaxy Mega 6.3 is a prime example. According to a new rumor, courtesy of @evleaks via The Unlockr, HTC is working on its own gigantic smartphone, dubbed the T6, that will come equipped with a 5.9-inch Full HD display. This thing will be huge—and it sounds amazing. The alleged device will adhere to HTC’s recent home-run all metal design language, with one major addition: room for a microSD card slot. That would do away with one big advantage Samsung’s handsets currently have over HTC’s, a move clearly aimed at addressing consumer’s concerns. Other possible specs include a 2.3GHz quad-core Snapdragon 800 processor, 2GB of RAM, a 3,300mAh battery, BoomSound, an OIS UltraPixel camera and a dedicated stylus. Additionally, the device will supposedly come with biometric fingerprint tech, and (curiously) run Android Key Lime Pie. That last bit is inconsistent with reports suggesting Google’s next Android update is going to simply be Android 4.3 Jelly Bean. But nothing has officially been confirmed at this point. 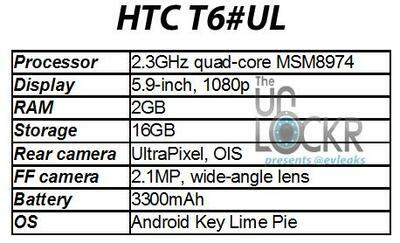 The HTC T6 will supposedly come out this fall, so the possibility of Key Lime Pie isn’t out of the question. Quite honestly, the device sounds almost too dreamy to exist in the current landscape. But HTC surprised us already this year with the One, and technology moves at an incredibly rapid pace. 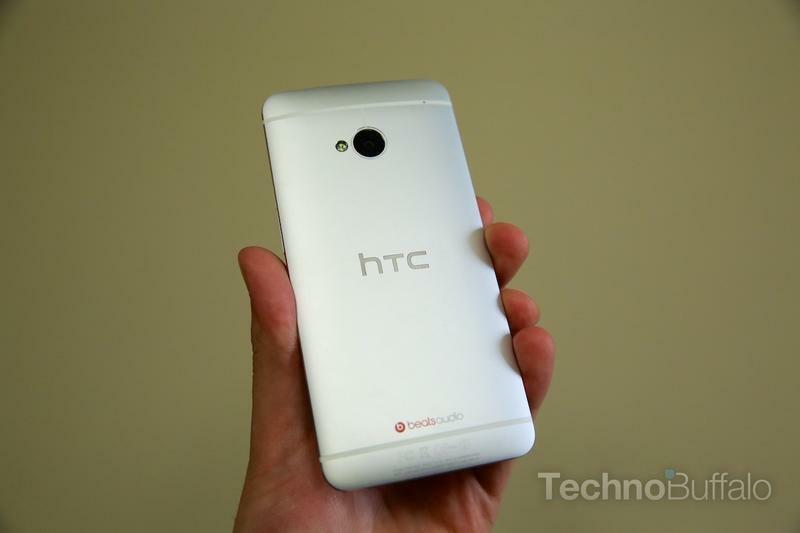 If the current HTC One doesn’t strike your fancy, perhaps one with a 5.9-inch Full HD display and microSD slot will.